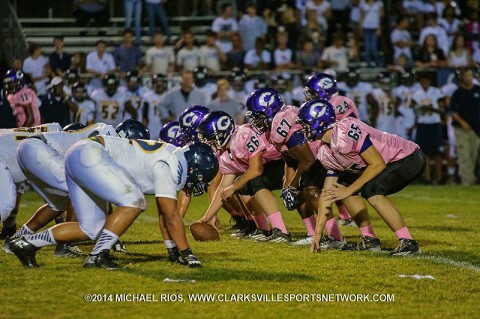 Clarksville, TN – The Rossview Hawks and the Clarksville Academy Cougars were among the four local district teams who competed in the second round of the Division I high school playoffs last week. They were also among three of the four teams whose season came to an end last week. Only last season’s state champs, the Henry County Patriots, moved on to the playoff quarterfinals, moving one step closer to another state title. Clarksville, TN – The high school football post season began last week. For all 32 teams participating in each of the brackets the rules are simple. Win or go home. 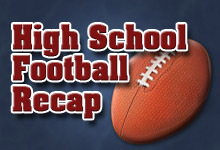 Seven teams made it to the first round of the playoffs including five from District 10-AAA. Only four teams advanced to the next round. Hot List: The Rossview Hawks won their first playoff game in school history last Friday. Six turnovers helped the Hawks soar pass the Memphis Central Warriors 24-7. It was the Hawks sixth win in a row. They have averaged 39 points in the six wins and improve to 8-3. Next, they play the undefeated Whitehaven Tigers (11-0). 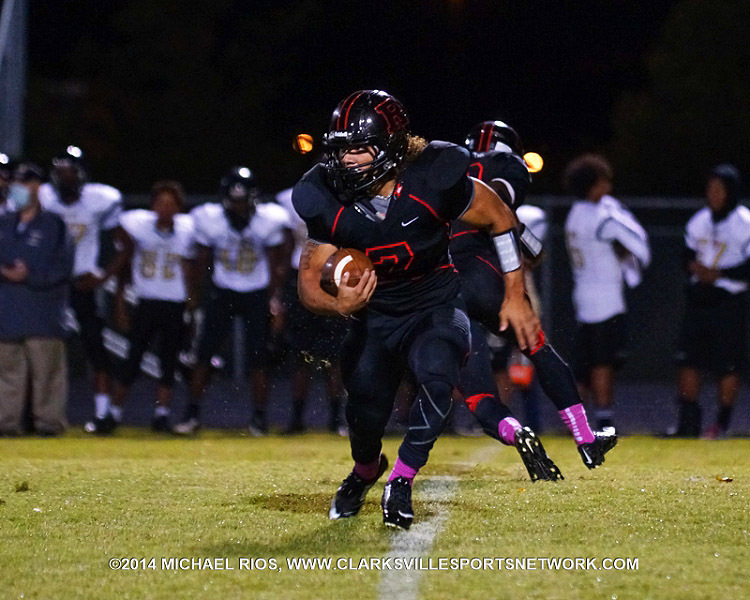 Rossview High Football gets first playoff win in school history with 23-7 victory over Memphis Central. 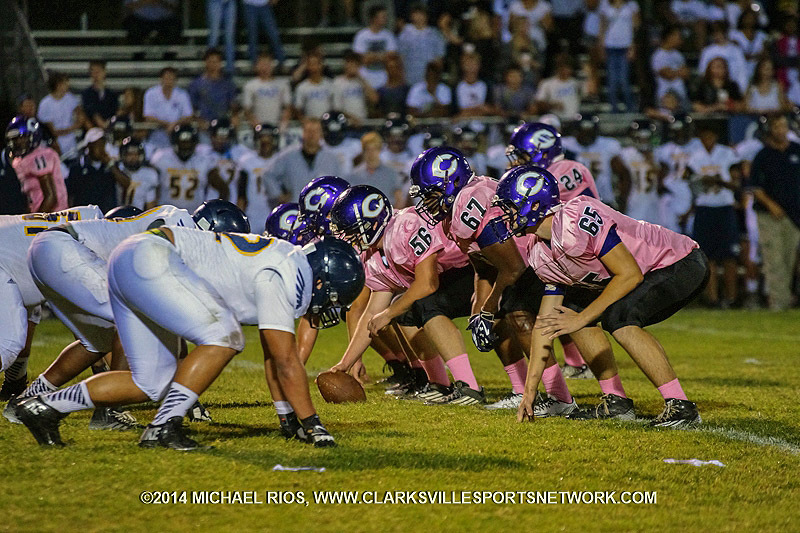 Clarksville, TN – The high school football regular season came to a close this week. Some teams played for district titles, some tried to earn playoff spots and the rest just wanted to end the season with a win. For those teams who made it to the playoffs a new season begins this week. The rest will be turning in pads and helmets looking for something positive to take out of a tough season that ended too soon. 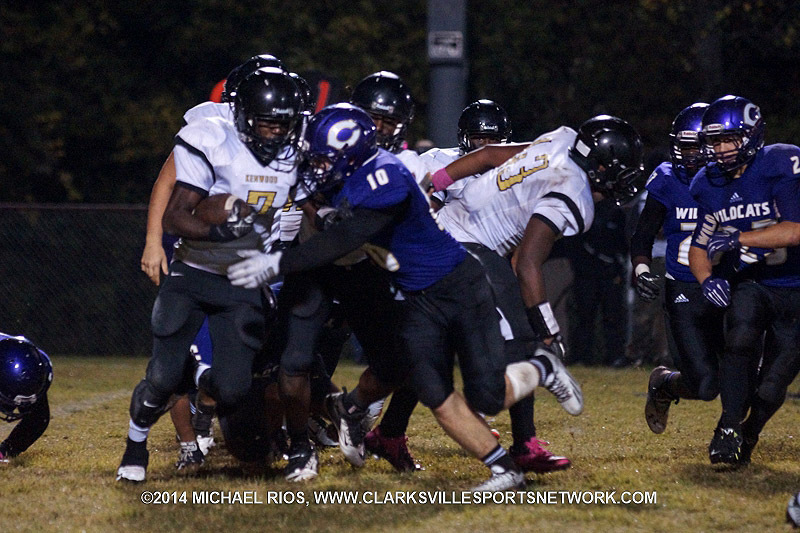 Clarksville High Wildcats beat the Springfield Yellowjackets last week to earn a playoff berth. 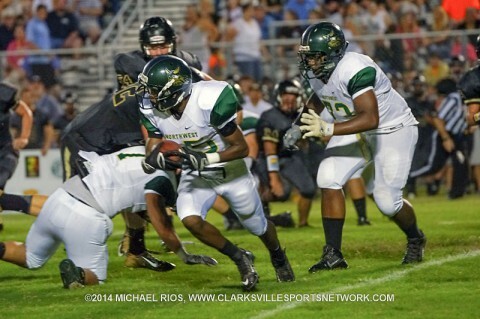 Clarksville, TN – The final week of the regular season high school football is here. This is the last chance for teams to play for the regular season championship, playoff possibilities or just pride. The District 10-AAA regular season champion was secured last week. Another team earned their first District 10-AAA victory. Although some teams know their season is coming to an end this week, no team will finish the regular season winless. Kenwood High Football beat Clarksville High 20-17 last Friday. 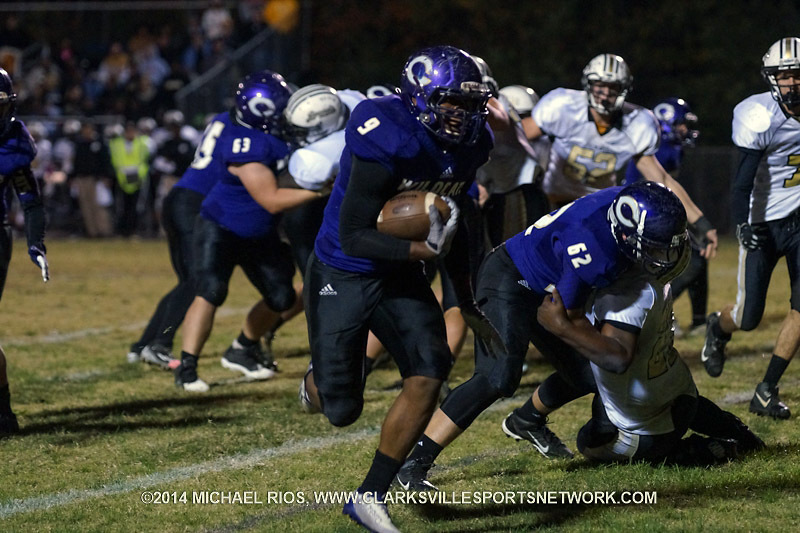 Clarksville, TN – Most of the Friday night lights were off in Clarksville last Friday because all the District 10-AAA football teams were on their Fall break. However, while those teams were resting and gearing up for their last two games of the regular season, both the Clarksville Academy Cougars and the Fort Campbell Falcons were handling their business at home. 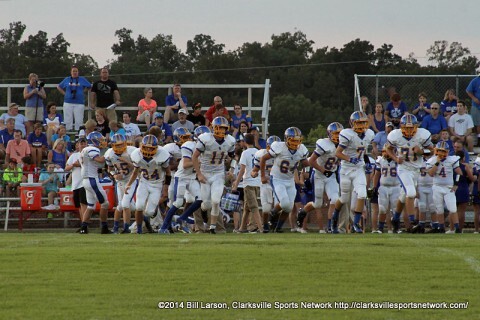 Clarksville, TN – The countdown until the end of the regular season continues and only two games separate most of the District 10-AAA football teams. After week 8, no team is undefeated overall, but one team is undefeated in league play and they have almost locked up the regular season champion spot. With the Fall break, most of the teams have two weeks to prepare for their last two regular season games. The race so tight, these last two games could decide which teams will get to play at home in front of their own fans in the post season. 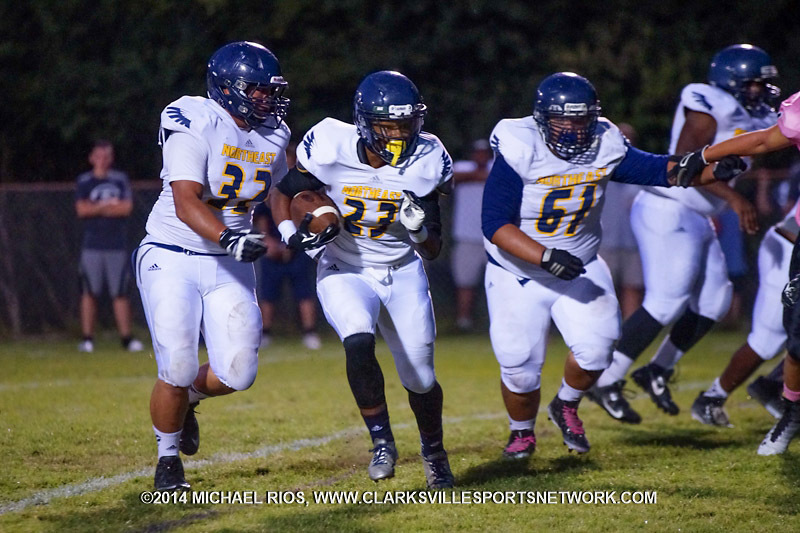 Northeast Eagles beat Northwest Vikings 35-0. Clarksville, TN – It was cold, wet and windy Friday, October 3rd, but the miserable conditions did not stop a lot of fans from going out and supporting their teams during week 7 play. It was District 10-AAA competition across the board and some fans got some early relief from the relentless weather as the outcomes of the games were determined early. With only three games remaining in the regular season a new leader has emerged at the top and the lone winless team picked up their first victory. 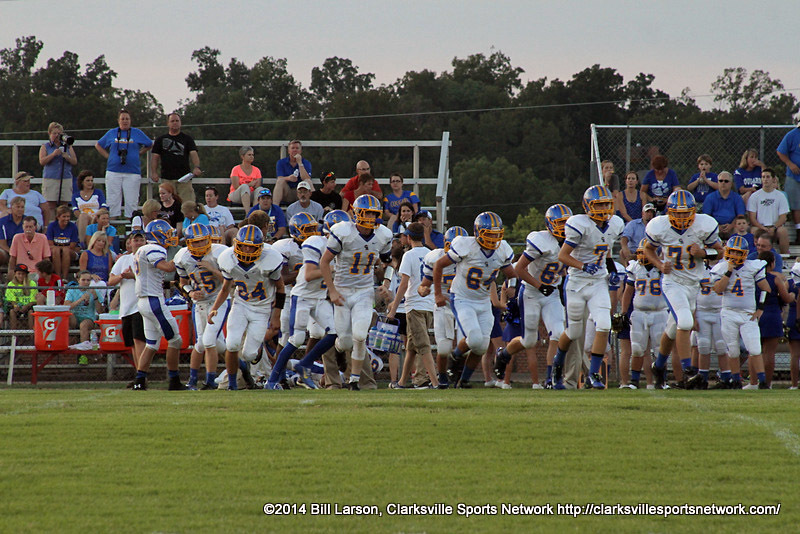 Clarksville, TN – Week 6 was the last chance a lot of fans got to see their teams play at home. It was also the last chance District 10-AAA teams will play non-league opponents. Only four games remain in the regular season and with the standings so close, every game will be crucial to post season play. As the weather changes, this is the time of year when all the pre-season practice separates winners and losers. Execution, penalties and injuries will determine the post season top seeds. 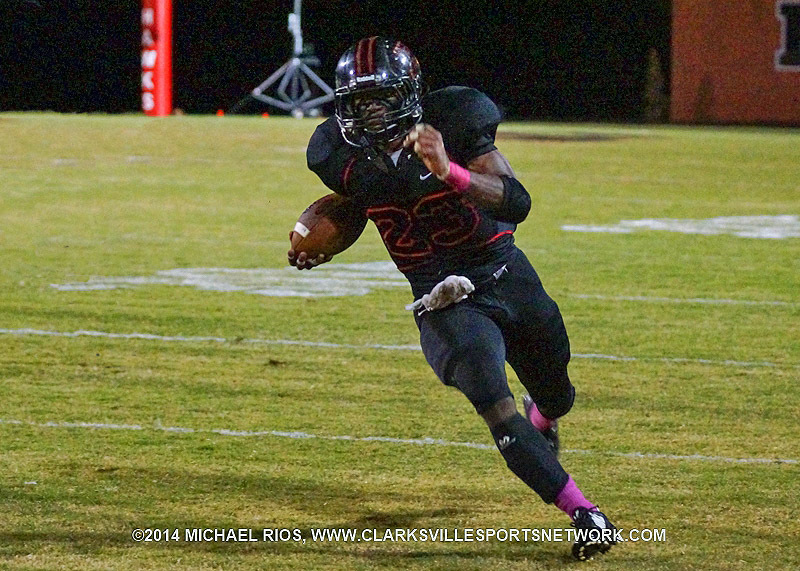 Clarksville, TN – The high school football regular season is halfway done. Five games have been played and five more remain. Only one District 10-AAA team is still undefeated while one team has yet to earn a win. In between the top and bottom, only one game separates six teams. Homecoming games begin this week. Seniors will be recognized and the battles to win will take place in front of stands filled with extra fans cheering for their home teams. 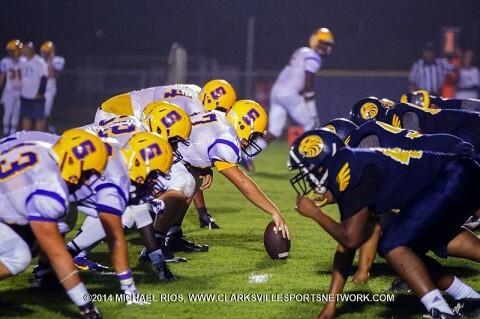 Clarksville High wildcats tamed Northeast Eagles 17-12. Clarksville, TN – Pristine uniforms, pads and footballs are now grass-stained, dented and scuffed because the high school football season is underway. With two weeks of play done, parents and fans are beginning to get an idea of their teams strengths and weaknesses. While some are excited by their team’s proficiency so far, others are hoping they have yet to see the best of what their team has to offer.